Conceding to the demands made by the Kerala chapter of the Indian Medical Association (IMA), the Kerala government has decided to roll back its earlier decision to co-locate Ayush hospitals with primary health centres (PHCs) for facilitating patients to choose a system of treatment on their own choice. “Right now government has no such plan and the co-location will not be implemented. We have changed the decision because of the opposition from the allopathic doctors’ association, so we are not proceeding for integration. Co-location is not a government policy now,” said Rajiv Sadanandan, principal secretary, health, When informed about the prevalence of co-location of health systems in other states including the neighbouring state of Tamil Nadu, the health secretary responded “many states do have the co-location system, but we do not have any such plan now”. The integration of Ayush and allopathic facilities was a national level proposal submitted to the Union health ministry by the steering committee on Ayush for the 12th five year plan and it is under the consideration of the government. 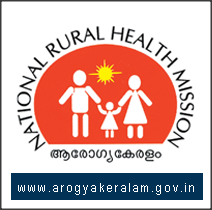 From 2005 onwards, government of India launched the project of co-locating Ayush facilities with primary health centres under national rural health mission (NRHM) scheme. The finance minister of Kerala had made an announcement in his budget speech in April this year that the state government wanted to integrate allopathy and Ayush in the primary levels in order to convert the PHCs into holistic clinics for the benefit of the patients in the village areas. He was referring to the integrated health facilities working in various states under the NRHM scheme. Miffed at the one-sided decision of the Kerala government, the Ayurvedic Medical Association of India (AMAI) Kerala chapter secretary Dr Rejith Anand said his association will soon approach the union health ministry and the Ayush department for their immediate intervention in this matter. He said Kerala government is always neglecting Ayurveda and other Indian healing systems in the healthcare policies of the state. “We are waiting for the release of the health policy. Let’s see how the government responds to our demands. Ayurveda is the system of Kerala. Co-location is a national policy of the union government, then why should the state government be hesitant to implement it on the threat of IMA,” asked Dr Rejith. He further said the information would be passed on to all the members of his association and altogether they will march to the chief minister’s office demanding integration of treatment facilities. According to Dr D Ramanathan, general secretary of Ayurvedic Medical Manufacturers Organisation of India (AMMOI) the decision of the health department is against the earlier decision of the government. He wanted the government to implement the co-location system immediately as was done in other states. A team of AMMOI office-bearers will take up the matter with the chief minister, he said. A report of the Union health ministry reveals that Ayush facilities are co-located with 416 district hospitals, 2942 community health centres and 9559 primary health centres till 2011. There is integration of Ayush and modern medical systems in the district hospitals of Goa, Haryana, Jharkhand, Maharashtra, Mizoram, Sikkim, Tamil Nadu, Tripura, Lakshadweep and Pondicherry. The report also says that the states having more than 50 per cent of the district hospitals co-located with Ayush facilities are Chhattisgarh, Punjab, Madhya Pradesh and Uttarakhand.